So You Got a Stand Mixer. Now What? So, you’ve found yourself in possession of a stand mixer. But what should you actually do now that you have one? For starters, congratulate yourself. Stand mixers deliver a level of power and versatility that simply can't be replicated with elbow grease or hand mixers. You can now make a wealth of new recipes, from cakes, cookies, and breads to sausage, meatloaf, brandade, and rillettes. Then, take a look inside the box. 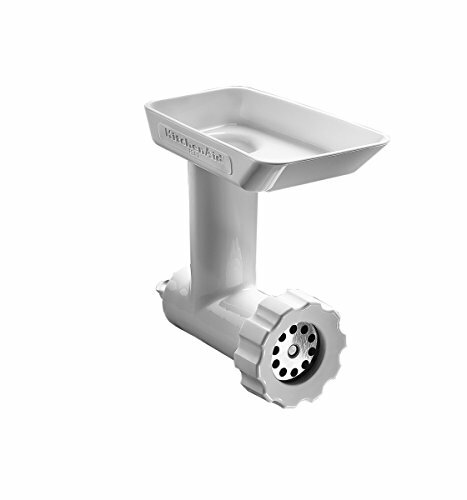 Most stand mixers ship with a few basic attachments, with the option to purchase additional attachments to broaden the appliance's range of applications. 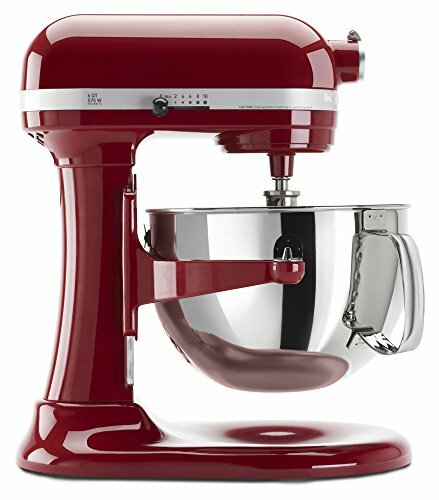 Our recommended mixer, the KitchenAid Pro (as well as all other mixers from KitchenAid), comes with a whisk, a paddle, and a dough hook. This article is organized by those three core attachments, including what they're good for and our favorite ways to put them to work. Before getting started, though, it's worth checking to see whether your model has solid-metal gears—if they're plastic (as is the case with the KitchenAid Artisan, for instance), the machine will be more susceptible to wearing out and stripping over time, so you'll want to avoid particularly heavy duty tasks, like making the stiff dough for our homemade bagels. The first job that a stand mixer excels at is whipping the daylights out of stuff, whether it's cream or egg whites. It's great for aerating fluid mixtures—the stand mixer's large and open balloon whisk, when combined with the motor’s power, produces more voluminous whipped cream and meringues than the narrow tines of a traditional whisk or the beaters of a hand mixer. While it's a relatively simple matter to whip cream or egg whites by hand, there are times when the stand mixer’s formidable power is particularly useful. French buttercream, for instance, requires whipping egg yolks, which is mechanically intensive. Swiss meringue, too, is tough to whip by hand, largely because the process requires that you add sugar up front, and sugar has the effect of delaying coagulation. We shouldn’t undersell the ease with which a stand mixer whips things, either. Whipped egg whites aren’t just for meringues; they also play a crucial role in any soufflé, whether sweet or savory, since the air trapped in the whites is what gives soufflés their airy lift. The same principle is key to our effortless angel food cake, too, though the stand mixer doesn’t just make the recipe "effortless"—the whole technique is dependent on the stand mixer’s sheer power to bring ingredients together in the first place. And, finally, there are other creamy things, like our creamy whipped yogurt and creamy whipped...cream. Do note, though, that using a stand mixer to whip plain cream can quickly transform your airy dessert topping into solid butter. Thanks to the way in which sugar delays coagulation, though, a sweetened cream has a much lower risk of becoming overwhipped—recipes like no-bake cheesecake or the cream cheese frosting mentioned above can withstand some pretty serious whipping. As opposed to the whisk, which is meant for cutting through mixtures, the wide, flat blades of a paddle attachment are designed to smear and fold, which makes it invaluable for processes like creaming. The goal of creaming is to repeatedly fold a combination of butter and sugar until you've created an expansive network of fat, air, and sugar crystals. The more air that's trapped within the network, the greater your volume of dough will be (which means more cookies! ), and the better your cakes, like this classic vanilla cake, will rise. It's technically possible to cream butter and sugar manually, but it's incredibly labor- and time-intensive. And while any electrical mixing appliance will take care of the job in a fraction of the time, a powerful stand mixer has another advantage: temperature control. Creaming only works if the butter can stretch and expand, which means keeping it at or below 68°F, which is why bakers prefer to start with cool butter and cream as quickly as possible. You can attempt this with a hand mixer, but since they generally only work on softer, warmer butter, the results won't be nearly as foolproof. The paddle is a great way to uniformly mix cookie doughs and cake batters. A badly mixed cookie dough will result in a few misshapen and malformed cookies, while a poorly mixed cake will rise (and look) funny. Meanwhile, recipes like the aforementioned German and cream cheese frostings benefit from being mixed by the paddle's wide, flat blades—the thin tines of a whisk will leave you with a mound of cottage cheese–like curds instead of a smooth, airy, and light frosting that you can easily manipulate into beautiful swoops and whorls. Because the paddle does not cut so much as it smears and folds, it's also a great way to mix and emulsify meat for dishes like sausage. A food processor, by way of comparison, cuts and chops while it mixes, and breaking the meat's protein strands will directly impact the texture of your final product (for more info, check out Kenji’s article on the science of sausage and salt). If you want to start making sausages (like Italian sausage, chorizo, or merguez) at home, a stand mixer is key: It helps to knead the meat—and, crucially, does so quickly enough to avoid melting its fat content—for sausages that are juicy and springy, rather than dry and crumbly. What else can a stand mixer do for meaty mixes? It's the tool responsible for the characteristic bouncy texture of these Swedish meatballs, for one. And for the best meatballs of your life, you’ll want a stand mixer by your side to quickly and effectively mix the panade (a bread crumb and milk mixture) with aromatics and a portion of the meat, before mixing in the rest of the meat by hand. This leads to light meatballs that nevertheless hold their shape well and have evenly distributed seasoning. Finally, for preparations like rillettes and brandade, where the meat should be shredded rather than finely chopped or puréed, a paddle does the job quickly and cleanly. Finally, there's the dough hook. Making bread is certainly doable without a stand mixer and dough hook attachment, but high-fat doughs like brioche are extremely difficult to make without them. And while some doughs are actually better when made in a food processor, like our New York–style and Sicilian pizza doughs, others really do benefit from being spun around by the dough hook, like Neapolitan-style pizza dough. Then there are breads like our simple crusty white bread; though it's possible to incorporate ingredients and knead the dough by hand, it's far simpler use the dough hook for both steps (and far less messy, for what it's worth). The benefits of using the dough hook aren’t just about convenience. The relatively slower speed at which it kneads (compared to, say, a food processor) means there’s little risk of over-kneading or overheating, which means you don’t have to watch it like a hawk; you can clean up your kitchen or prep other things while your dough is in the stand mixer. Using the dough hook also allows you to adjust your dough when necessary, adding water or flour if it looks a little too dry or wet, respectively, and it’s great for adding mix-ins, like nuts or dried fruit. So, What Should You Make First? If you want to put your brand-spanking-new stand mixer through its paces, I suggest making Stella’s one-bowl cinnamon rolls. Not only are they delicious, but they use both the dough hook and the paddle attachment to wonderful effect. Looking to take your whisk attachment for a spin? Stir up some extra-creamy Greek yogurt and serve it with virtually anything you like. Or, if you're feeling a bit more ambitious, make yourself that aforementioned effortless angel food cake, just to see how easy it really is to make something that is so ethereally perfect, and wouldn’t exist at all without the stand mixer. What About All the Other Attachments? While we haven't yet completed an exhaustive test of every KitchenAid attachment on the market, there are a couple we can wholeheartedly recommend. The pasta roller set takes all of the frustration and fussiness out of making fresh pasta, and, unlike the manual alternatives out there, it's incredibly easy and efficient to operate on your own. Hello, homemade ravioli, tortellini, and linguine! Meanwhile, the food grinder attachment is a great option if you want to start grinding your own meat or experimenting with sausage-making. Because it's an attachment, you already know that the hardest-working part of your grinder—the motor—is going to be a workhorse that can power through even the toughest grinding projects. We also like that you can grind the meat directly into the bowl, then attach the bowl to the machine and immediately start mixing it with the paddle to develop protein. It's a real time-saver.